Maria is a genuine and empathetic agent who doesn’t believe in taking short cuts and aims for perfection ensuring clients feel cared about. 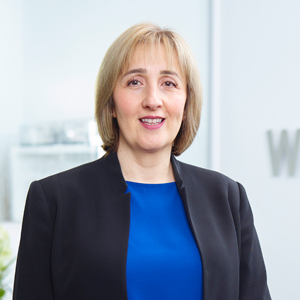 As a member of the sales team at Woodards Carnegie, she enjoys sharing her people skills as well as the knowledge that comes with over 15 years’ experience in real estate. Maria thrives on being part of a successful team that works together for the greater benefit of clients to ensure that Woodards remain a dominant force in the area. For Maria, the excitement comes from meeting new people, matching buyers to their perfect home, achieving outstanding sales results and exceeding client expectations. Maria loves working and living in the Murrumbeena area. Over the years she has been involved in many school and local sporting clubs where her children were involved. In her spare time, Maria enjoys sewing and other craft hobbies. She is hoping to travel more, now that her children are adults.